KJIPUKTUK (Halifax) – Environmental racism in Nova Scotia is subtle and systemic and hits marginalized communities hard. Scientists trying to understand the link between health issues in a community and the environmental hazard down the road are on their own. All levels of government appear reluctant to support Mi’kmaw and Black communities in their search for answers. 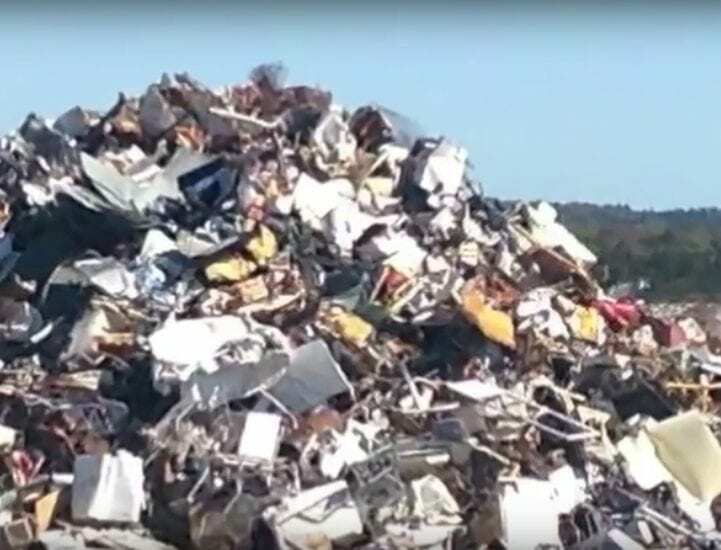 Earlier this week the Nova Scotia Advocate wrote about a Black community within the Town of Shelburne where residents are worried about contamination from a nearby landfill. They want authorities to investigate their health-related fears and to provide access to town water. The group also wants the landfill cleaned up, and some sort of recognition for the decades of stress, sickness, and stigma the Black community suffered because of the proximity to the now decommissioned Shelburne dump. What’s happening in Shelburne is not an isolated case. In our province a disproportionate number of indigenous and African Nova Scotian communities are situated close to landfills, waste sites, and other environmental hazards. The phenomenon has a name. It’s called environmental racism. That term is easily misunderstood, says Dr. Ingrid Waldron, an associate professor at the Dalhousie School of Nursing. Waldron leads the ENRICH Project, an initiative that supports racialized and marginalized communities that face environmental issues. Environmental racism is not the blatant cross-burning kind of racism, Waldron says. It’s systemic, and much more subtle. “That landfill is not near Shelburne’s Black community because of a group of white men rubbing their hands together and saying let’s harm those Black people. Environmental racism doesn’t happen like that,” Waldron says. “Environmental racism is about an unconscious bias that shapes policies. We put the dump in a community because that community doesn’t matter. Many people may not want to admit that this is the case, and they may not even know it, it is so deeply embedded in their psyche,” Waldron says. In an op-ed Waldron recently contributed to the Nova Scotia Advocate she calls environmental racism a form of violence, and elaborates on its roots in a legacy of colonial violence. The idea that environmental racism in Nova Scotia is a real force is gaining acceptance in media outlets and environmental organizations, Waldron says. But in the various levels of government not so much. “I don’t know if individuals in government necessarily reject the notion of environmental racism, but as a government they are not ready or willing to put out the resources needed to address the issue,” says Waldron. It is often difficult, and expensive, to establish whether living in proximity to a dump or other environmental hazard is affecting people’s health. Shelburne is a case in point. Sure, many people in Shelburne’s Black community got sick, but where is the smoking gun, critics ask. Fred Bonner and Wilber Menendez Sanchez are two scientists who, supported by students and associated with the ENRICH project, have begun to gather information to characterize water quality and look for contaminants. Everybody involved did this work pro bono. They worked closely with residents of Lincolnville, a small African Nova Scotian community in Guysborough County that, much like the Shelburne community, is situated near a landfill that the community never wanted. Also much like Shelburne, residents are worried about health impacts through contamination of their wells. Bonner, a hydrogeologist, analysed the movement of groundwater in the area, and Sanchez, who has a background in chemistry, analyzed the quality of well water in the community. Together with a team of student volunteers Sanchez and Bonner intend to now do a similar study in Shelburne, again working very closely with the residents. The Lincolnville study only provides baseline information, and did not even look for landfill-related contaminants in the drinking water, Bonner cautions. “This effort was about getting a small win. We said, let’s do something rather than keep talking about the problem. Because we didn’t have any funding we were only able to do very basic sampling, the kind that any homeowner could do,” Bonner says. And even a more sophisticated chemical water analysis has limitations, Bonner says. “It’s not just about chemicals in wells. There are a number of components when you talk about community health. For instance, both in Lincolnville and Shelburne we heard about the fears associated with living close to the landfill. Living with such stress also affects people’s health. “Residents in Lincolnville had to deal with increased truck traffic, the smoke and potential contaminants associated with that. These are all things to consider,” says Bonner. Establishing a water quality baseline is a necessary first step. To do the necessary additional work to understand landfill-related contamination is expensive and will require funding. The kind of funding marginalized communities typically don’t have access to. Yet this type of analysis is not something any level of government typically supports. Municipal water quality is strictly regulated and frequently tested, but rural Nova Scotians who rely on well water are on their own. Testing for landfill-related contaminants is expensive. “It hurts me to know that many Nova Scotians may not know that they are drinking polluted water. Or maybe they have been fighting for 30 years just to get someone to come to their yard and let them know what the quality of their water is. “That is shameful, that as a society we cannot provide that simple service,” Sanchez says. Click here to read the report on the Lincolnville water quality analysis. with many and varied health issues.